A little sweet, a little savory, and full of fall flavors. 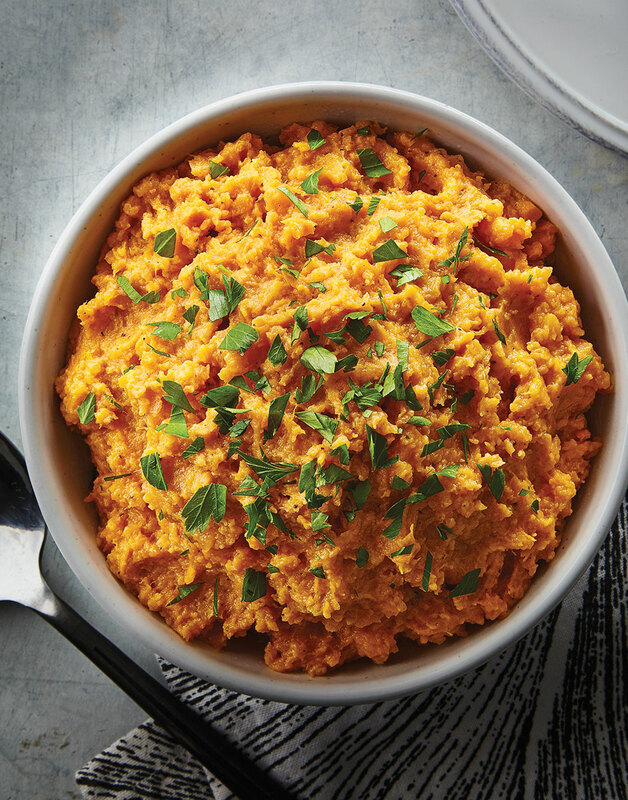 This recipe for Country Smashed Sweet Potatoes is as tasty as it is good for you. You can tell these tubers are good for you just by looking at them. Sweet potatoes get their orange hue from beta-carotene. They’re also high in fiber, and a good source of iron and vitamins C and B6. Cook sweet potatoes in a pot of boiling salted water until fork-tender, 10–15 minutes. Drain sweet potatoes and return to pot. Cook sweet potatoes over medium-low heat, stirring, to remove excess moisture, 1–2 minutes. Off heat, add butter, half-and-half, brown sugar, and cinnamon; crush with a potato masher until combined and desired consistency is reached. Season sweet potatoes with salt and pepper; top servings with parsley.